Grading presentation on 27 July 2013. The grading took place at Beckenham SKC on 20 July under Sensei Adel Ismail – 5th Dan. Congratulations to everyone who went for the grading. A clean sheet! 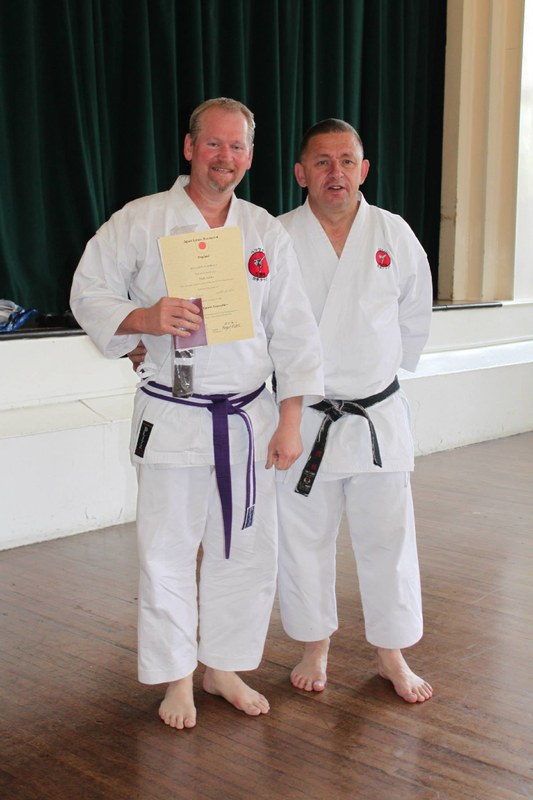 Shown below is Mark Jedski receiving his brown belt and certificate from Sensei Roger.